When we found out we were expecting our first little one, my husband and I were ecstatic! But once the joy of impending parenthood waned, we realized we had a big financial commitment coming up. Ironically, your finances take a nosedive with unpaid maternity leave at the same time your expenses increase drastically. 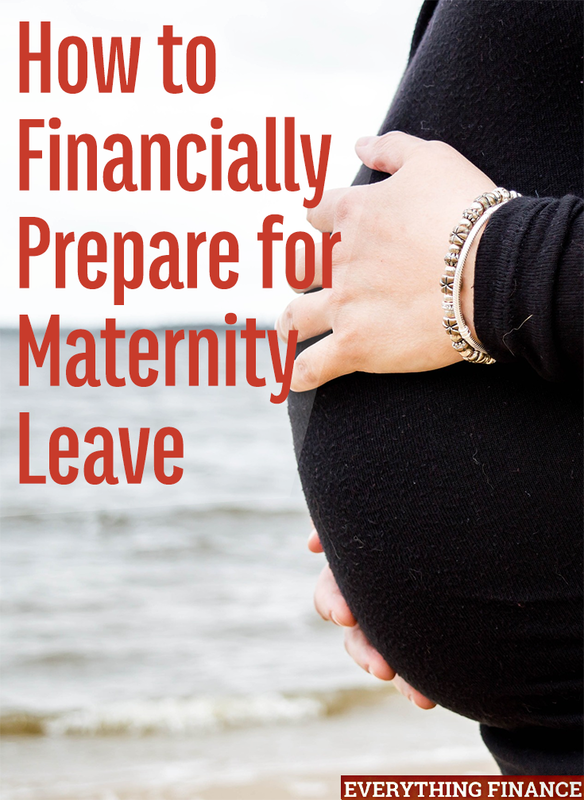 We knew we had to get our act together—and quickly—to be financially prepared for maternity leave. The last thing you want to worry about when you’re welcoming a new bundle of joy into your life is your money. Unfortunately, these requirements mean that 40 percent of the workforce isn’t eligible to take FMLA. If you’re lucky enough to be eligible, the problem is, it’s completely unpaid. 2011 Census Bureau data revealed only 50% of first-time mothers take any paid time off of any length after the birth of a child. Holy smokes! Here are some ways to get your act together to financially prepare for a baby. If you happen to live in California, Massachussetts, Rhode Island, or New Jersey, then you’re in a bit of luck, although not much. These four states are the only ones currently offering paid family leave laws. In California, you qualify for State Disability, which covers up to 55% of your paycheck based on the previous year’s earnings. 55% may not be enough to cover all your bills, but it’s definitely a start. Only 11% of companies offer paid family leave on their own—but if you’re lucky enough to work for one, definitely take advantage! Many workers put together a mish-mash of sick and vacation time to cover some of their expenses during maternity leave. You can use sick and vacation time to pay for maternity leave, but most people don’t have three months’ worth of either. Unfortunately for most, sick and vacation can only partially cover expenses. Your best bet is to start a maternity leave savings account if you haven’t already started one. If you contribute $100 a paycheck as soon as you find out you’re pregnant, you could essentially have $1,800 saved up by the time the baby is born. You may be able to find some of these saving by using an app like Trim to help you find savings on your monthly bills. Another way to get more money for maternity leave is to take on additional work. This may be harder because you’re pregnant and most likely more tired or not feeling well (suffering from morning sickness). But if you can ramp up some additional work, take surveys online for cash, or sell some items around the house, you can find ways to boost your savings. You can purchase a disability insurance plan through a company like Aflac, but if you plan to use it for maternity leave, most policies require that you have the plan up to 10 months before using it, meaning you’d have to purchase it before becoming pregnant. Check your local policy provider for full details. While it isn’t the most ideal option, ask your employer if you can return to work part-time. This allows you to soften the blow of going completely unpaid, while still having more time at home than if you were working full-time. Whatever you decide to do, it’s always best to get started with your plan as early as possible so you can be prepared. Did you take maternity leave at your job? How did you prepare for it? Review to see if you have short-term disability through work that will cover pregnancy. We were able to claim 6 weeks of ST Disability for my wife for a normal delivery. Many employers will provide short term disability as a benefit. We added it to our benefits the open enrollment before we knew we were going to be look at having a baby and it definitely made maternity leave a little easier. And we only had to wait a couple days before we could file our claim! Otherwise, great list – We incorporated many of these items, except for the state disability as we are sadly in a state that doesn’t offer it.